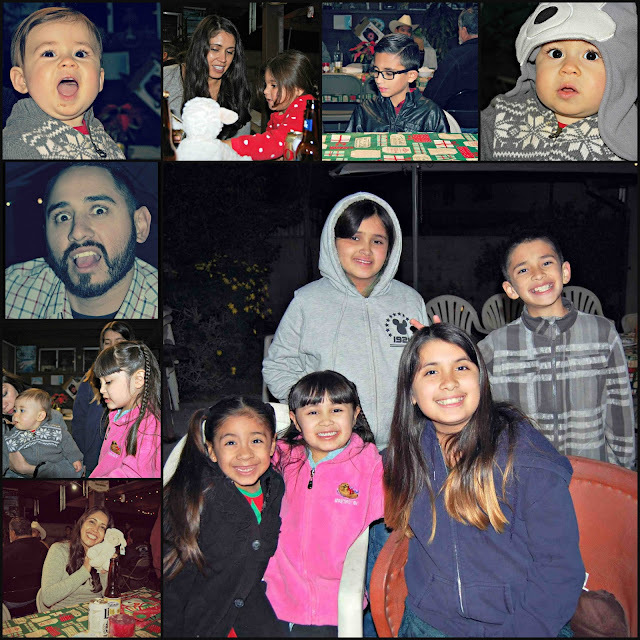 This year the family got together at Casa Chavez. As usual it was a tight squeeze but when your family is as big as ours there is no way around it. And really there is no other way I would want it. You are literally surrounded by all the people you love and there is just no better feeling than that. The kitchen was filled with so much good food. There was my Tia Concha's pozole. I was suffering from a cold and the pozole really hit the spot. There was meatballs, rice, beans, fettuccine alfredo, macaroni salad, a whole table of desserts and of course lots and lots of tamales. 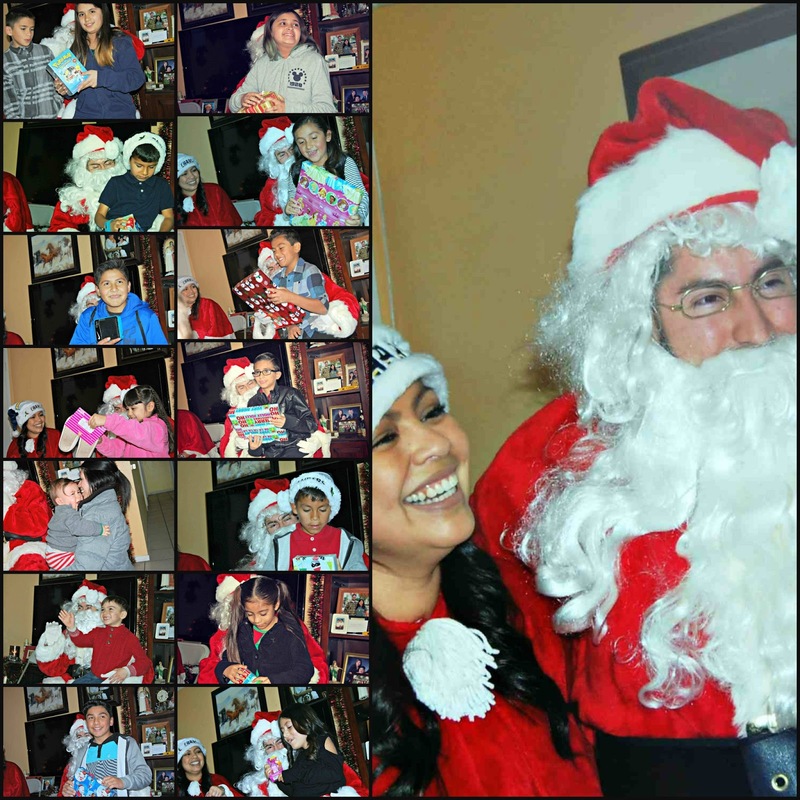 And because all the kids had been so good this year, Santa showed up! 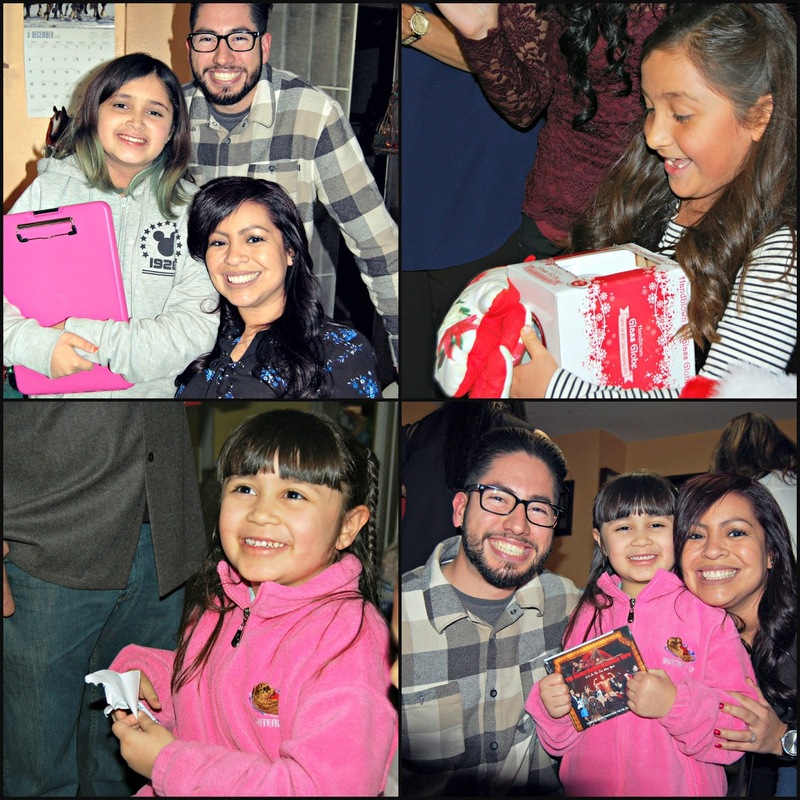 He brought gifts for all the kiddos! 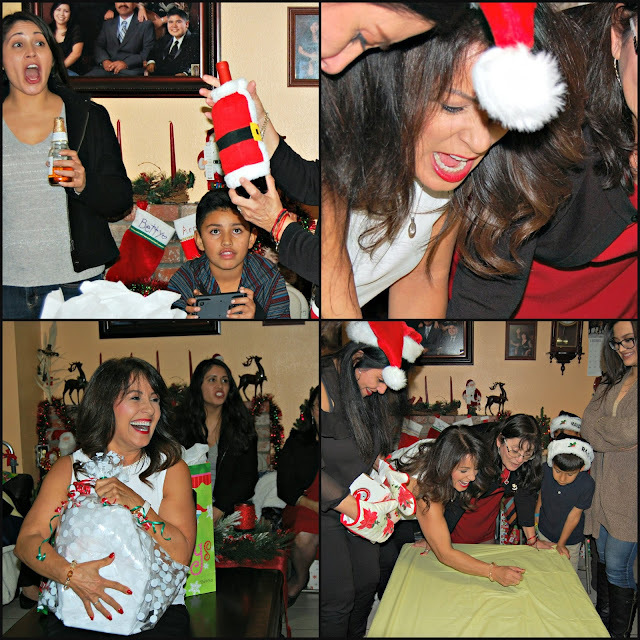 Every year we have a white elephant gift exchange. This year we added the kitchen mitt unwrapping game. And it got a little intense! 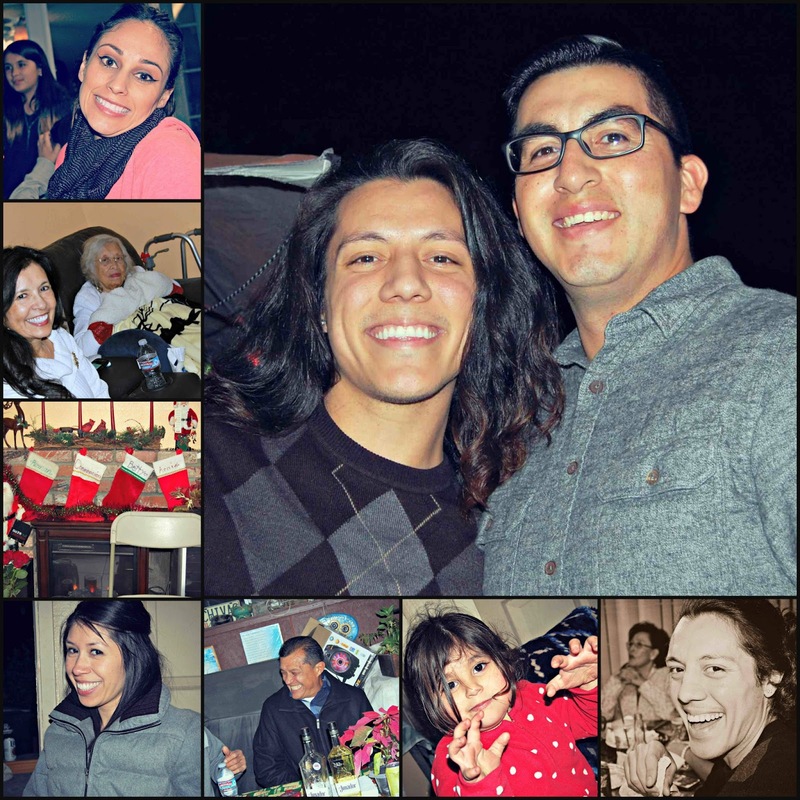 Back in the day we would wait until midnight to exchange gifts, but since the family has gotten bigger and a lot of us are traveling quite a ways we now end the night about 10pm. 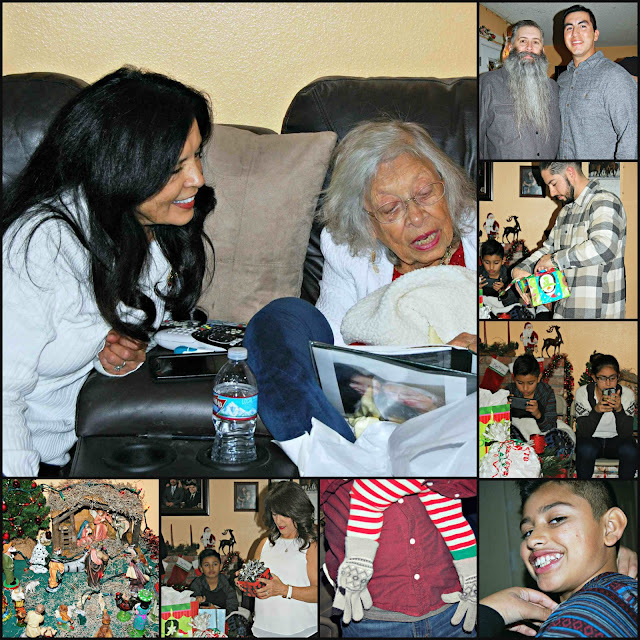 So we exchanged gifts with our family and called it a night. I want to thank my little cousin Karina! I gave her my camera and most of these photos she took! It was a beautiful Christmas Eve with my beautiful family.